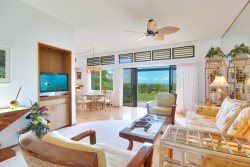 Unwind in the quiet luxury of this ocean view, one bedroom / two bathroom villa. 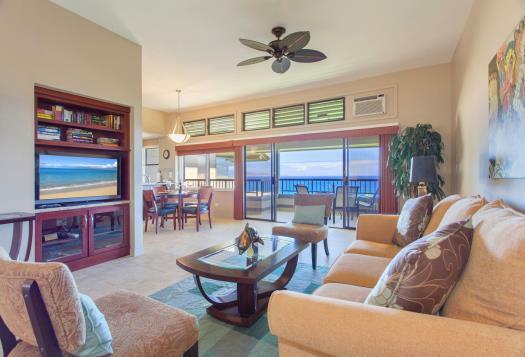 Located at the Kapalua® Resort, the Ridge Villas are known to highlight some of the best views and landscapes on Maui, while also offering our guests world-class accommodations. Built in 1980, The Ridge consists of 161 villas located in 29 separate buildings; this, on 22 lush manicured acres. When planning your next Maui dream vacation, don't make the mistake of staying in a hotel, most of which are small, overcrowded and overpriced. Start your vacation off right, and book one of our fabulous Ridge Villas! The on-site property managers are also Ridge Villa owners themselves, enhancing even further that pride that goes with their job. They are available around-the-clock, if needed. They will go the extra mile to ensure that your stay is beyond compare. 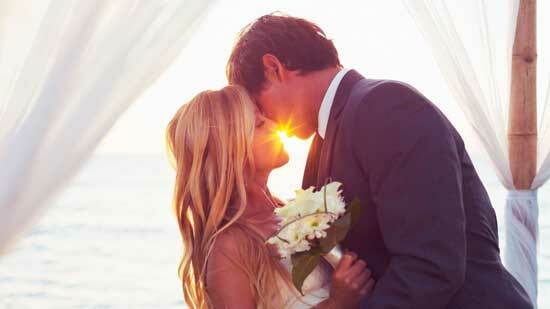 There are three, white-sand beaches just a quick walk from your villa. 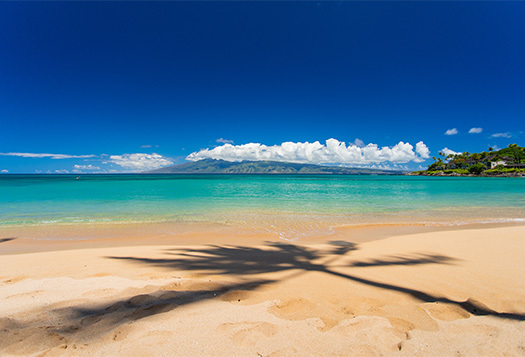 One of these beaches, Kapalua Bay, has won numerous awards including "Best Beach in the World," by Conde Nast. There are two crystal-clear heated swimming pools, both of which are equipped with BBQs, a covered seating area, lounge chairs, bathrooms, shower and herb gardens. "Pool One" features a full kitchen and a larger covered seating area, making it an ideal setting for larger gatherings. 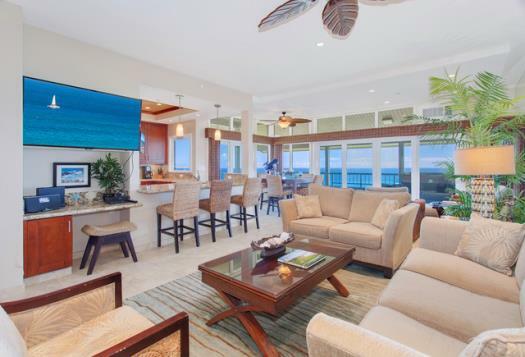 Luxury, remodeled townhouse featuring ocean, island and coastal views! Platinum level remodel townhouse with sweeping ocean views! 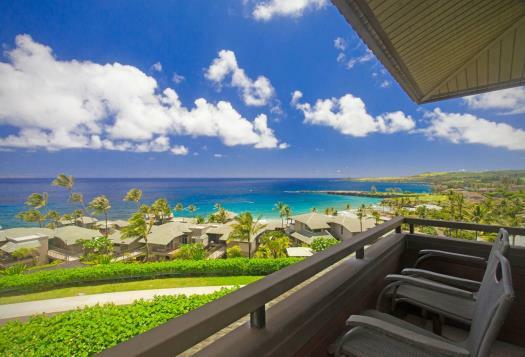 Luxurious remodeled townhouse with gorgeous ocean, island, golf course AND coastal views! 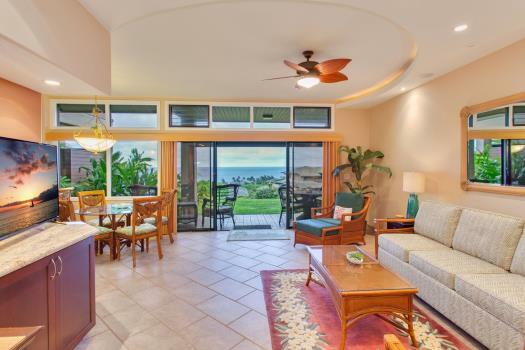 Platinum level villa with sweeping ocean views and elegant remodeled interiors.